AEVI has partnered with Kounta to offer its solution in the AEVI Global Marketplace. This partnership will integrate a range of Point of Sale (POS), business and payment processes allowing merchants to perform their business operations with a single app. As part of the drive to build an open ecosystem for secure transactions and high-quality, value-added apps and services (VAAS), AEVI has partnered with Kounta to provide a complete POS solution as part of AEVI’s Global Marketplace. 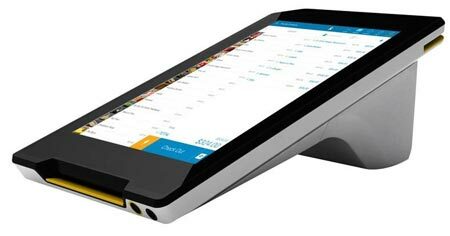 Kounta, running on Albert,a world first smart mobile POS device, provides a complete Point-of-Sale experience that allows merchants to effortlessly run their businesses and securely process payments on a single device. “As it stands, existing legacy POS systems limit the mobility of retail and hospitality staff. They have to complete orders and payments at a big clunky static computer and fixed payment terminal stations – a system that’s now not only extremely outdated, but stands in the way of operational efficiencies,” says Cloete. Streamlining processes for the retail and hospitality industries, including multi-outlet and franchise-style businesses, Kounta is a cloud-based app that works on any device, both online and offline. Kounta also connects seamlessly with other best-of-breed business services available through the AEVI Global Marketplace, enabling merchants to DO MORE within the holistic business management ecosystem. “We are delighted to welcome Kounta as a partner for our Global Marketplace”, says Mike Camerling, Chief Product Officer & Board Member at AEVI. “Our partnership started during the development of Albert with CBA in Australia and we are excited to extend this partnership to the US market and beyond. Kounta’s solution is a top ingredient for any merchant acquirer to have in their app portfolio for the retail and hospitality verticals”. Kounta will join AEVI in exhibiting their open solution at Money 20/20 Vegas, the world’s largest payments and financial services innovation event being held on October 23-26, 2016, where AEVI will announce the US launch of its Global Marketplace and connected devices. AEVI continues to invite US banks, acquirers, Independent Sales Organisations (ISOs) and hardware vendors to join their efforts in developing a truly open ecosystem that will give merchants choice and flexibility.